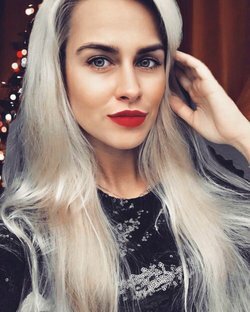 Alena402 - I'm feminine, creative, all-sufficient, cheerful, supporting, active lady. I'm feminine, creative, all-sufficient, cheerful, supporting, active lady. I'm looking for purposeful, frank, faithful, kind, understanding, easy-going, developing man with a good sense of humor. Feminine, creative, all-sufficient, cheerful, supporting, active, blonde, gray eyes, atheist, single, russian, secondary(special), higher(incomplete), teacher, sport, dancing, singing.